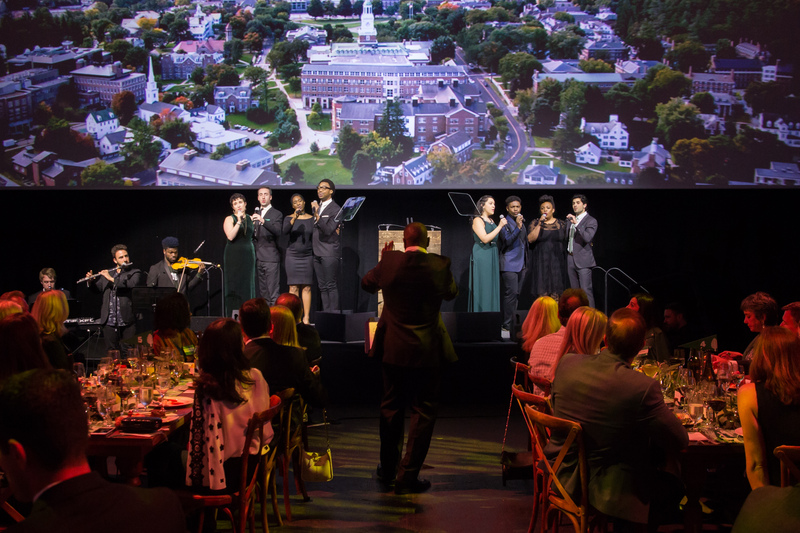 When Dartmouth College launched its $3 billion capital campaign entitled The Call to Lead, the most ambitious in its 250 year history, their leadership and Board of Trustees chose Empire as their creative and production partner. 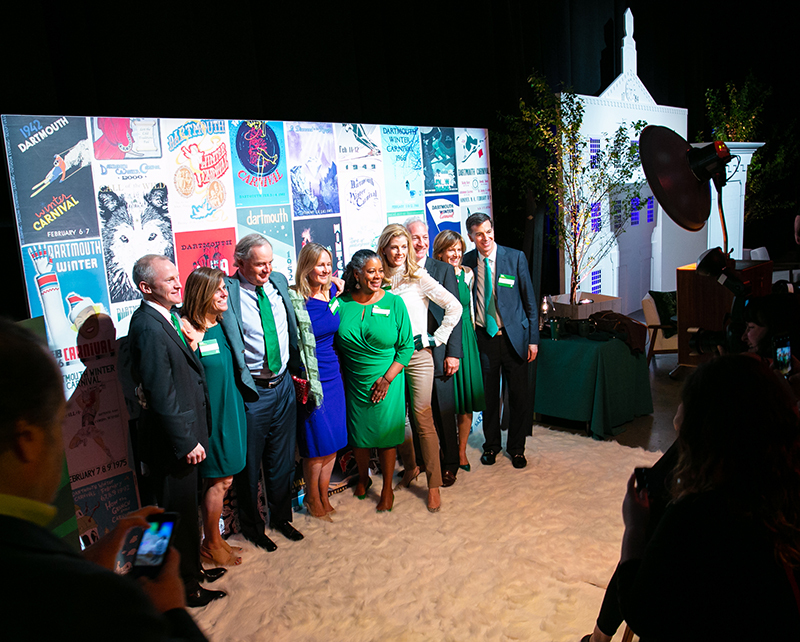 The Call to Lead was launched as part of a comprehensive, multi-platform communications strategy which included a series of highly experiential events for generations of alumni in New York, Hanover, NH, and San Francisco. These events would need to both inspire emotional responses to renew the connections among the alumni and their ambitions for their alma mater, but they would also need to appeal on a rational basis by illustrating its far-reaching plans to advance Dartmouth’s distinctive liberal arts experience, fuel research discoveries that improve the human condition around the globe and prepare students—across disciplines and programs—for lives of leadership in a complex, interconnected world. 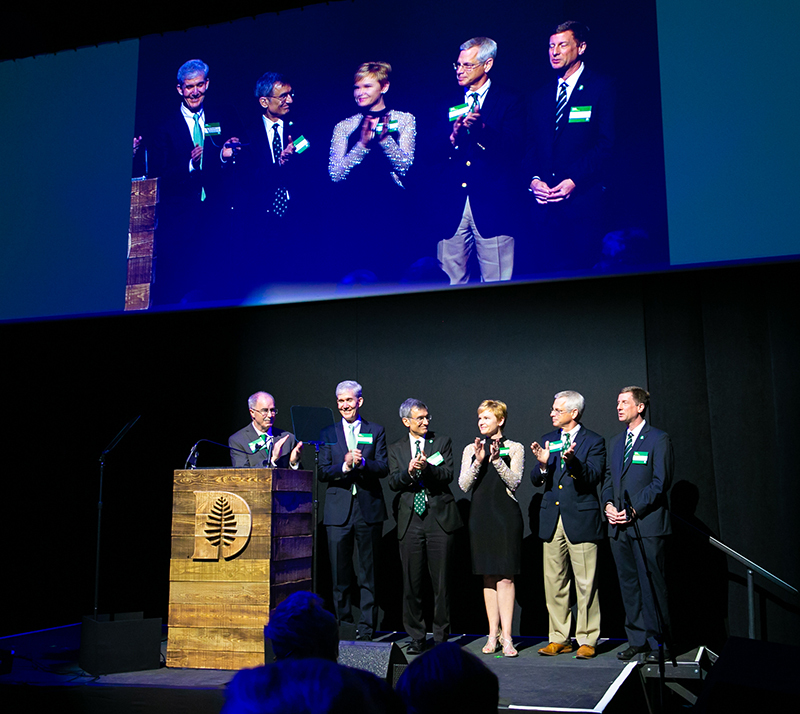 On April 27, over 500 Dartmouth alumni, parents, and friends gathered for the first of the campaign launch events at the Duggal Greenhouse in the Brooklyn Navy Yard, with spectacular views of New York Harbor and the New York City skyline. Arriving by ferry as well as by vehicles, guests were greeted by a boisterous musical welcome performed by an ensemble of Dartmouth musicians and dancers. 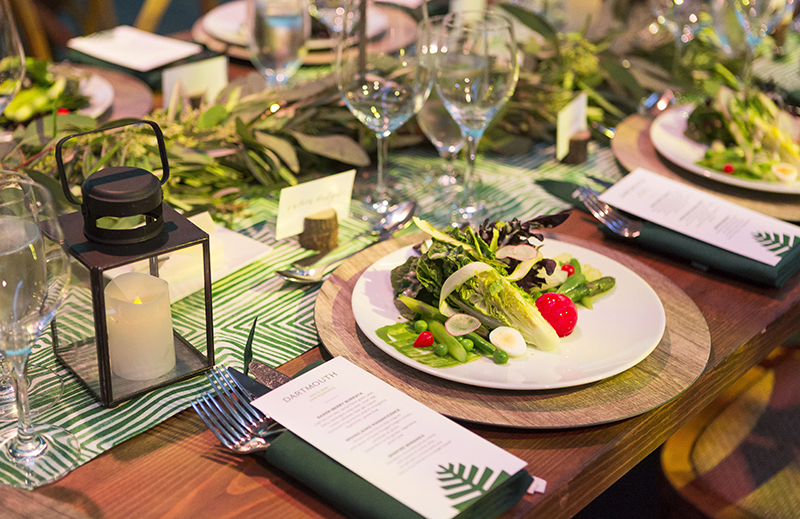 Passing through an efficient check-in, guests then made their way down a reception corridor lined with hedges hung with placards featuring quotes by celebrated alumni, including Daniel Webster and Shonda Rhimes. 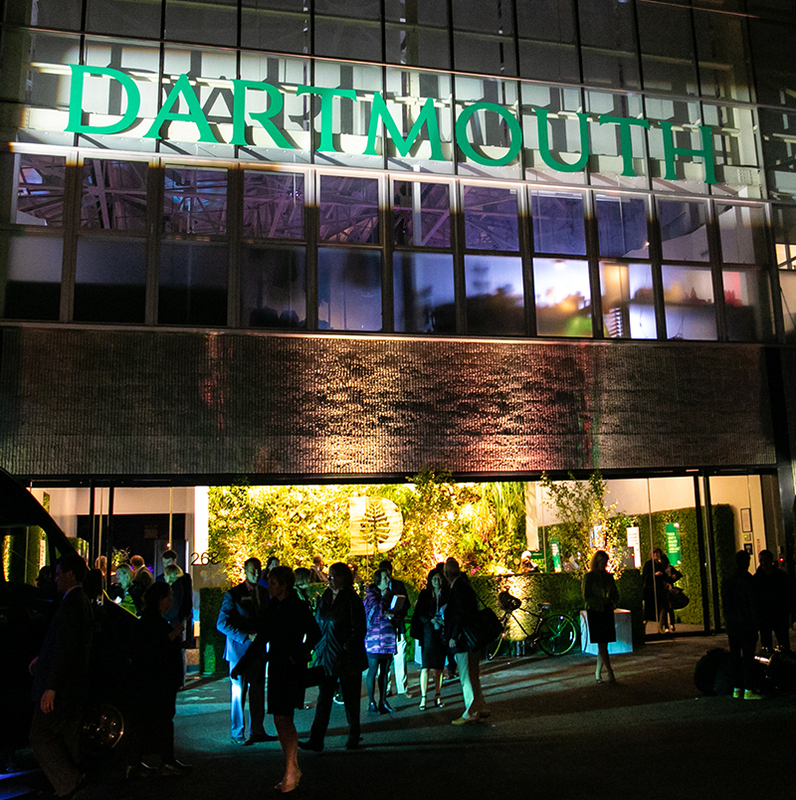 At the end of the corridor guests emerged into an expansive representation of Dartmouth’s Green with pathways running between elegant, scale model replicas of iconic Dartmouth buildings like Baker Tower and Dartmouth Hall. In the center of the Green stood a soaring wooden bar, built to resemble the bonfire that is part of every Fall Homecoming. 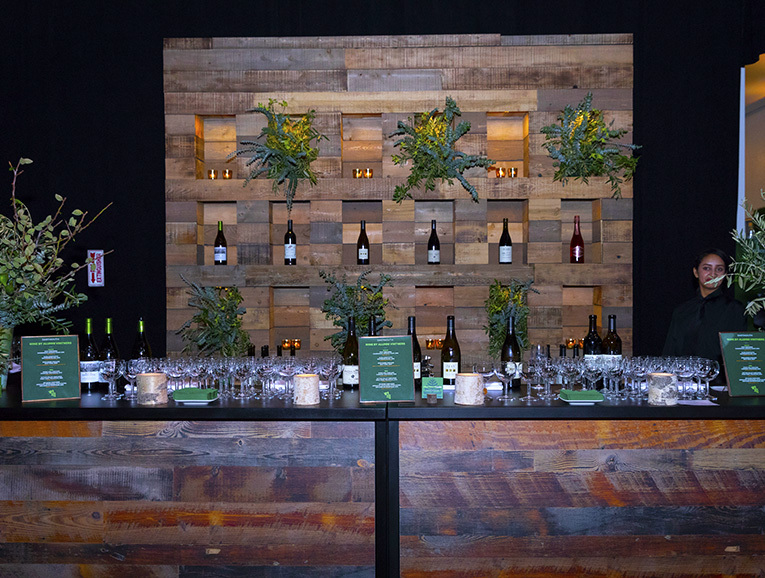 Guests enjoyed a Dartmouth-inspired menu of appetizers and wines produced by Dartmouth alumni-owned wineries. 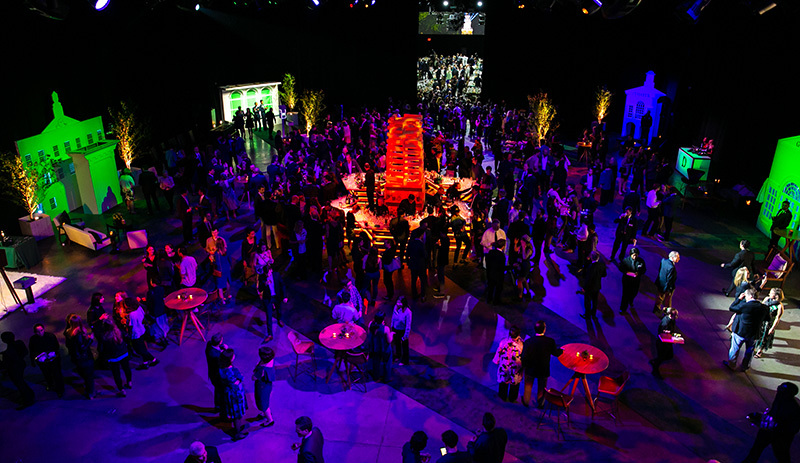 At the conclusion of the cocktail hour, a spontaneous, flash mob-style musical performance by a 20-person student & alumni ensemble led guests to a giant traveler curtain which opened to reveal a massive dining hall set with banquet tables for 500. 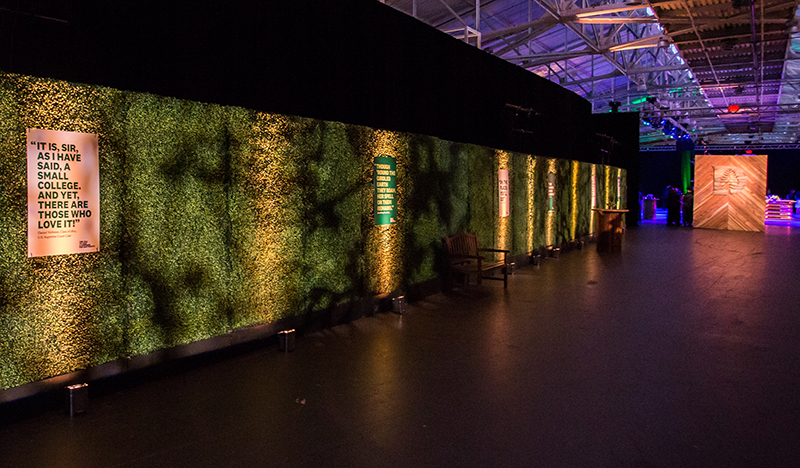 Surrounding the room was a monumental, 270 degree projection system that created an immersive environment, placing attendees at the center of Dartmouth Green. 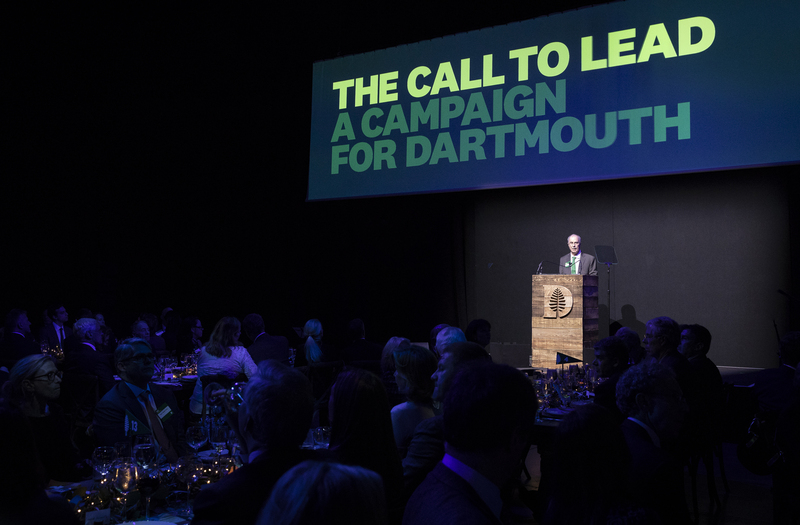 Once guests took their seats, a powerfully-evocative March of Time video counted down 249 years of Dartmouth’s illustrious history and established the theme of leadership, setting the stage for President Philip J. Hanlon’s outline of the vision for the future of Dartmouth and the formal announcement of The Call to Lead. 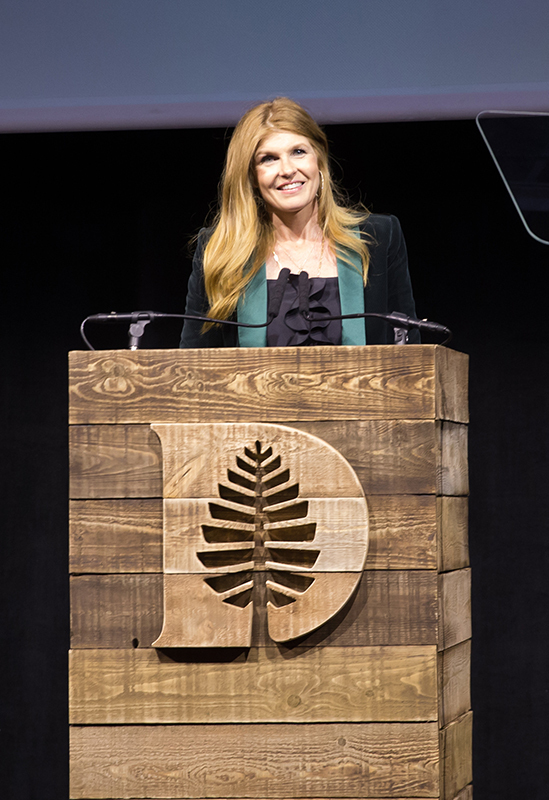 Journalist Susan Dentzer and actress Connie Britton, both Dartmouth alumnae, hosted the events in Brooklyn and San Francisco, respectively. Students and faculty shared stories of collaboration spanning disciplines, generations and geographies that have led to world-changing impact. The evenings were also filled with surprise moments, stunning announcements of substantial support and donations by many generous alumni. 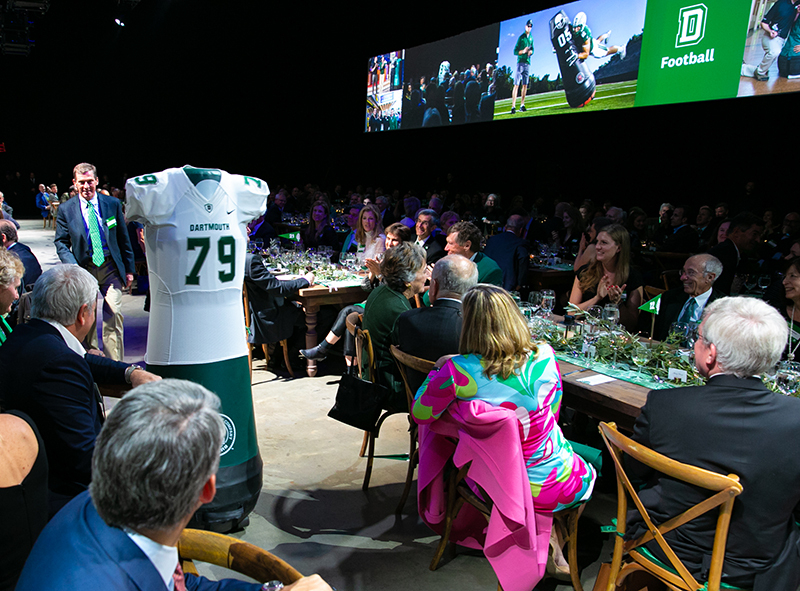 Between stage segments, meals were served with precision timing as guests were treated to a visual extravaganza of HD footage and high resolution imagery of the Dartmouth campus through the seasons. 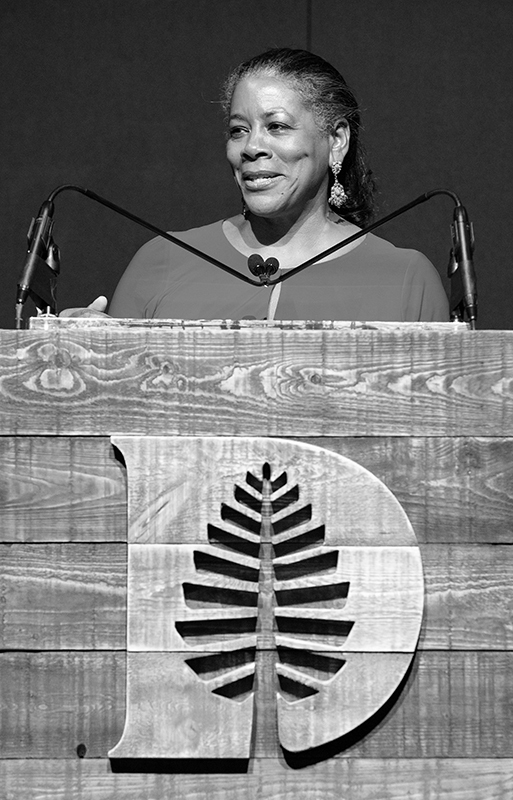 Both events culminated with Laurel Richie, Board of Trustees Chair, recapping Dartmouth’s strategic priorities and energizing the crowd to act and answer The Call to Lead. 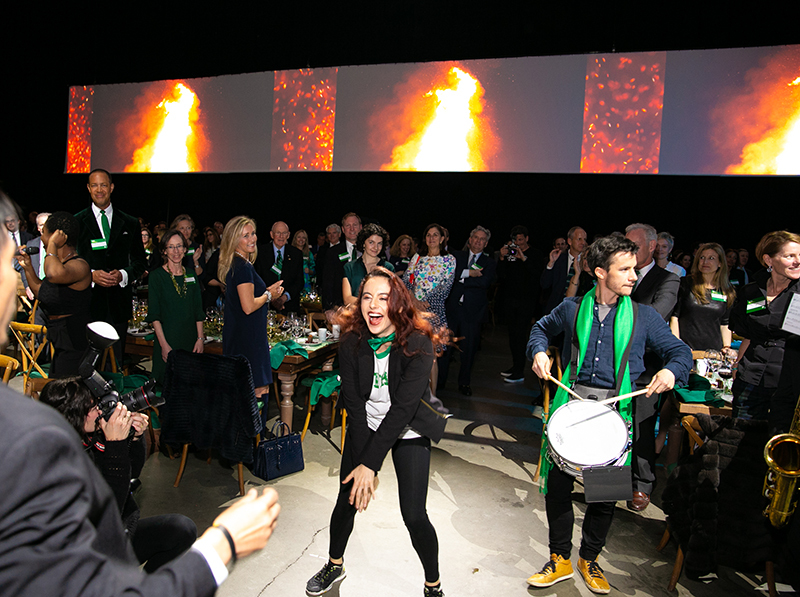 At the conclusion of Richie’s remarks, the musical performers appeared once again for a finalé performance, inspired by the Dartmouth Bonfire tradition and enhanced with surround visuals of the burning bonfire through the generations. 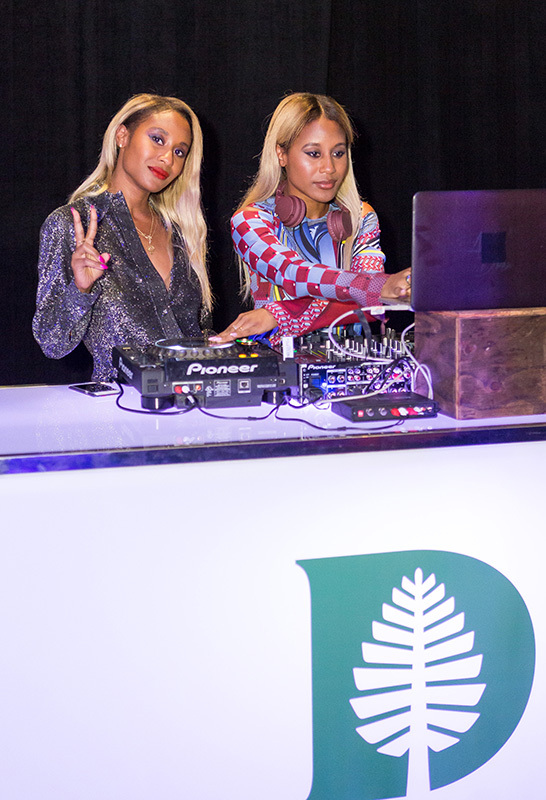 This performance led guests back to the reception area, which had been transformed during dinner into a future-forward afterparty with young alumni DJs, green screen photo booths and a variety of themed activities. 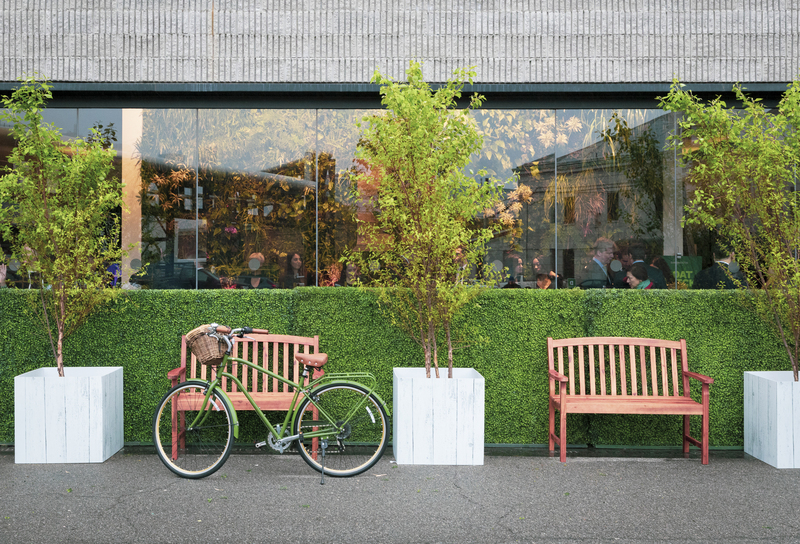 Following the immensely successful New York event, Empire transported the entire event across the country by truck and restaged everything at San Francisco’s Fort Mason Festival Pavilion just five days later – an ambitious and precision undertaking. 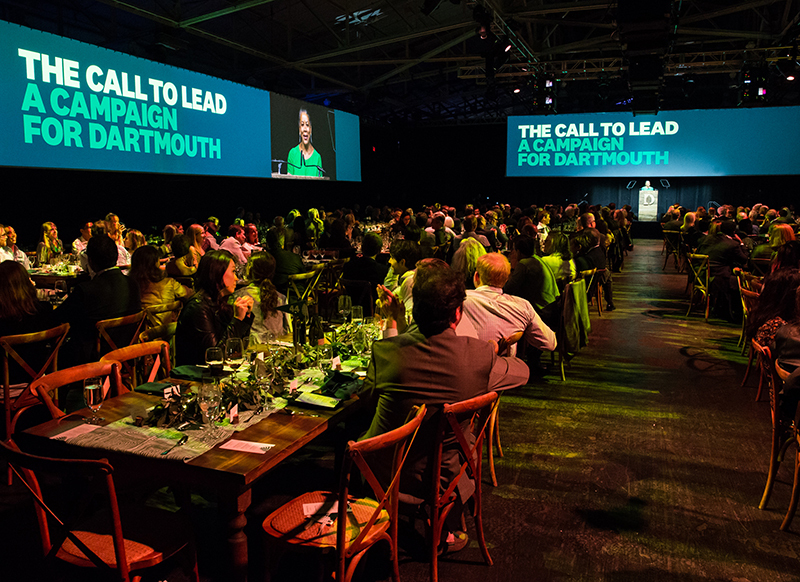 Empire worked closely with several Dartmouth departments and teams, as well as with students and volunteers, as well as creative, communications, production and event partners to plan and execute the events. 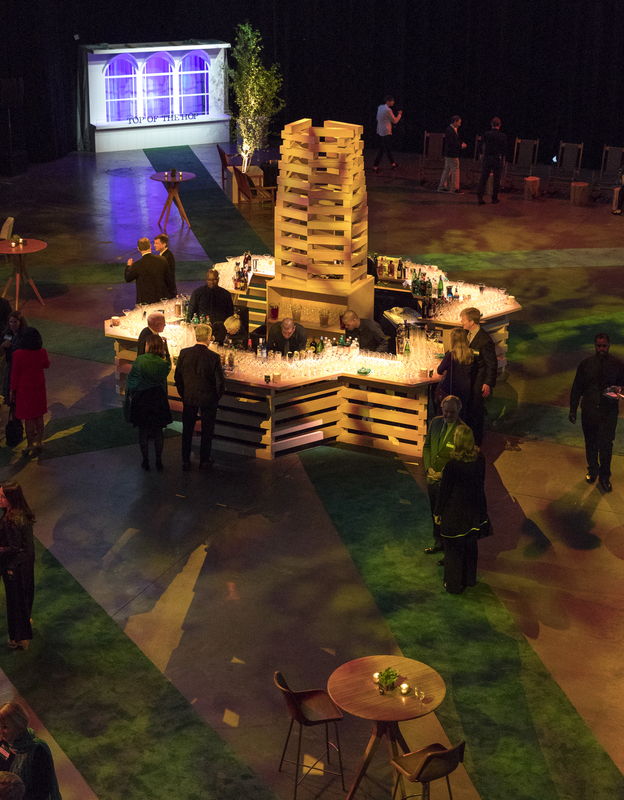 Empire oversaw every detail including concept development, messaging, venue acquisition, budgeting, registration, scripting, screen content production, technical production, catering, permitting, security, scenic, décor, staffing and guest logistics & experience. 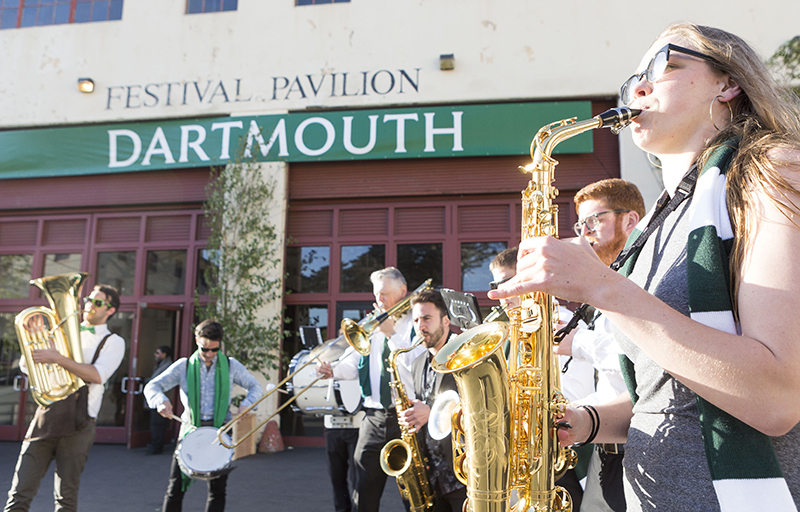 In addition to the live events, Empire and Dartmouth jointly created an extensive body of visual assets for display at the events, to promote social media sharing and engagement by alumni, for repackaging and deployment in a concise 10-city road show and for web & email marketing to be used over the extended campaign. 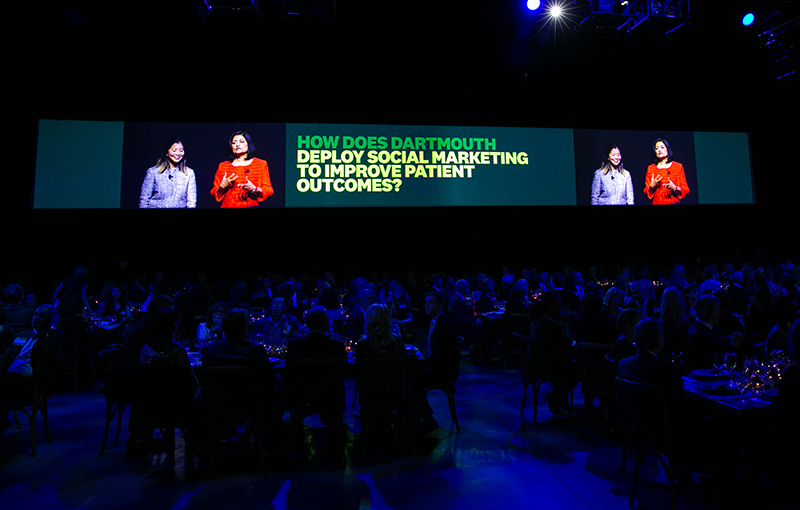 Empire is proud to have partnered with Dartmouth to produce these campaign events which helped to motivate over $100 million in commitments during the five days between the New York and San Francisco events. 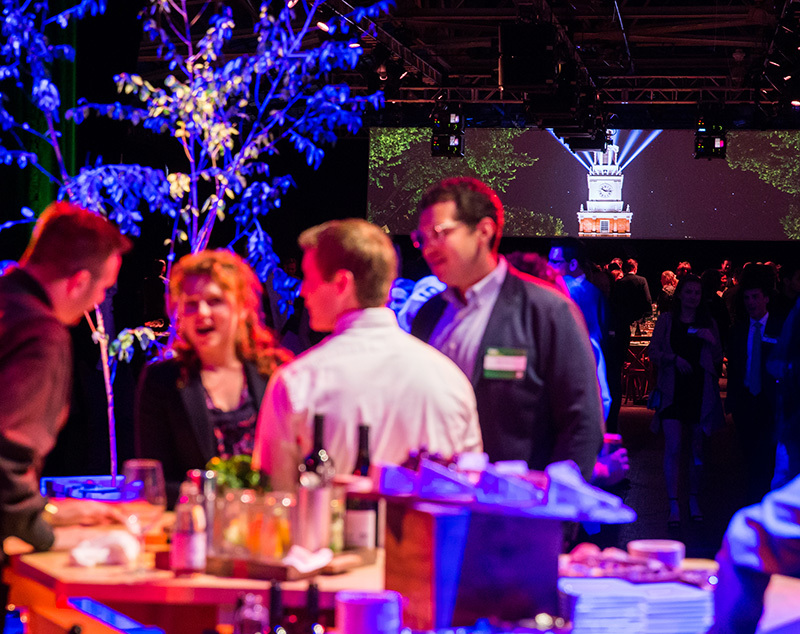 Empire is a leading producer of high-level events, both on and off campus, for Ivy League schools and many of the world’s leading educational institutions.